Sunspring. 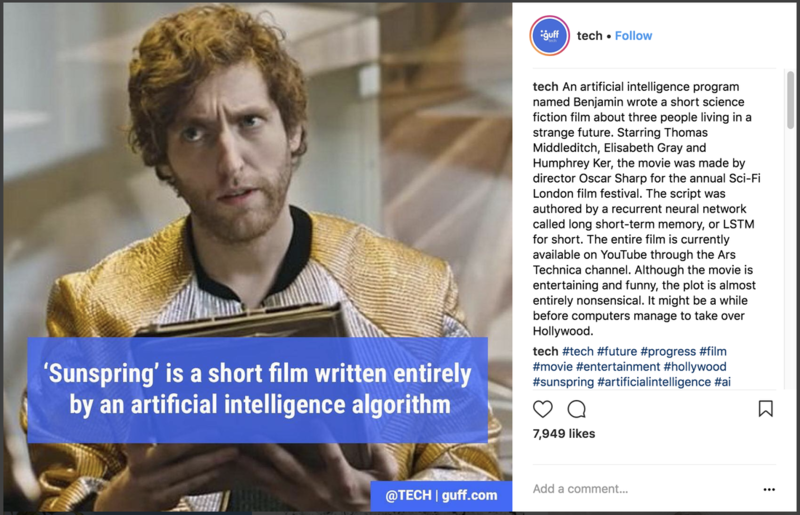 The first film ever written entirely by an artificial intelligence. Written by Benjamin - a collaboration with Ross Goodwin. Starring Thomas Middleditch, Elisabeth Grey & Humphrey Ker. An End Cue production. Full credits. Get the screenplay here. Get hi-res stills here. Get the song, also written by Benjamin, here. @MrOscarSharp @benjamin_ai @rossgoodwin: I guessed right. :) Benjamin is rather wordy and absurdist, yes? Discussion from 32:15, interview from 1:03:00. ​​YouTube - RickyFTW discusses Sunspring on ETC - 123K views. ​For press, or any other enquires, get in touch.